We’ve had our heads down and fingers flying lately at Dock, to see our progress check out Dock’s Year in Review for 2018! Our January is looking to be a busy one, so without further ado, we’d like to introduce our latest partner, CanYa! CanYa is building an open ecosystem of dApps for peer-peer services. The CanYa team provides a dApp blueprint so anyone can easily create a marketplace for a service of their choosing. The CanYaDAO provides support for these dApps so the end result is a self-funded ecosystem used by a global, permission-less user base. To get their vision rolling, the first dApps are being created and managed by the CanYa team. Their most successful marketplace is called CanWork, and is a high quality freelancer hub. What % fee does your current freelance site charge? Dock’s current integration is with CanYa’s top marketplace, CanWork. 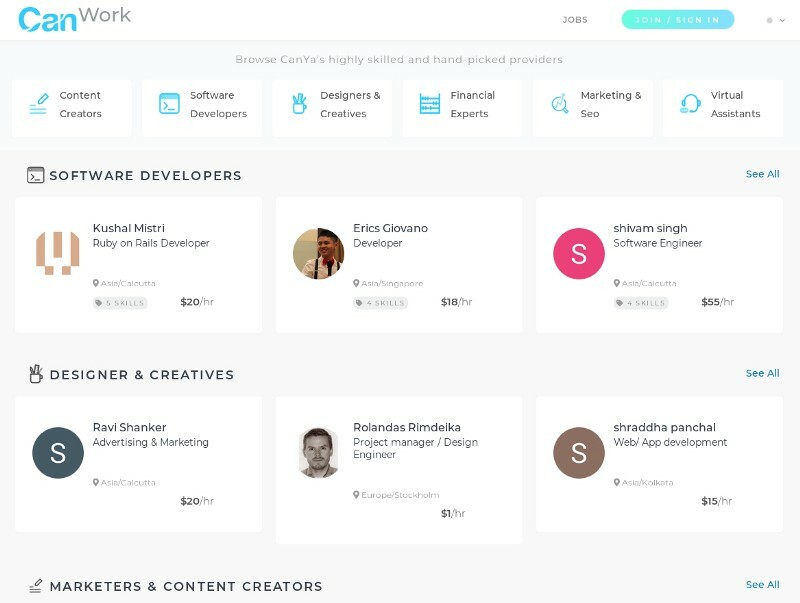 The CanWork marketplace for freelancers is a great alternative to existing freelance sites as they only charge a flat, 1% fee. As the first of many visionary products, CanWork provides all of the features you’ve come to expect as a freelancer (ratings, comments, review of work, fast payments, etc) plus an ethical approach to the data you create & upload to the site. CanYa’s commitment to allowing their users control over their data, and pushing interoperability across the decentralized ecosystem aligns them very nicely with Dock’s vision. The easy access to an additional professional network will also strengthen the profiles of Dockers who use CanWork or any CanYa marketplaces. The ability of Dock users to have instant access to a low-fee, freelance marketplace & dApp ecosystem is a great benefit for our users. As CanYa continues to build out their dApps we expect this utility to also increase over time. Dock provides a seamless log in experience & trustworthy profiles to be used in CanYa products while CanYa provides a great dApp for our users! It’s really as simple as that. To use the CanWork freelance platform just click CanWork on Dock’s app marketplace!